Animals, just like people, need medications to stay healthy, to treat or prevent diseases and to stay at peak performance. Animal health products are tools farmers, veterinarians and pet owners need to keep animals healthy and to promote good animal welfare. Working with a veterinarian, farmers and pet owners can use animal health products like vaccines, pain relievers, antibiotics and parasiticides as a part of animal care. 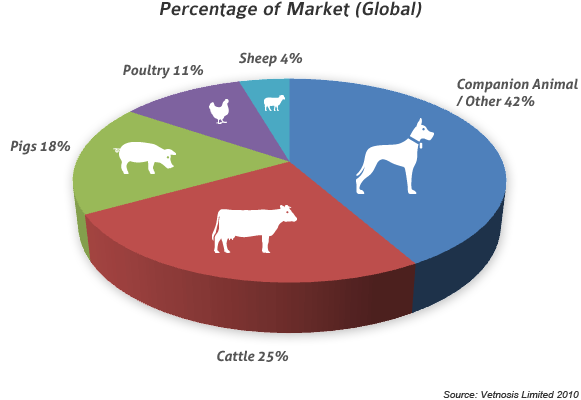 Veterinary Health Products are substances such as vitamins and minerals, herbal remedies, homeopathic medicines, traditional medicines (such as Chinese medicines), probiotics, and other products like amino acids and essential fatty acids. This is an expanding area of veterinary medicine with the Veterinary Drugs Directorate taking the lead on regulating products in this category. Pharmaceuticals – Just like people, animals need medication from time to time to manage well-being. Some of the more common pharmaceuticals include: analgesics (for managing pain), antibiotics (antimicrobials), anti-inflammatories and anaesthetics. 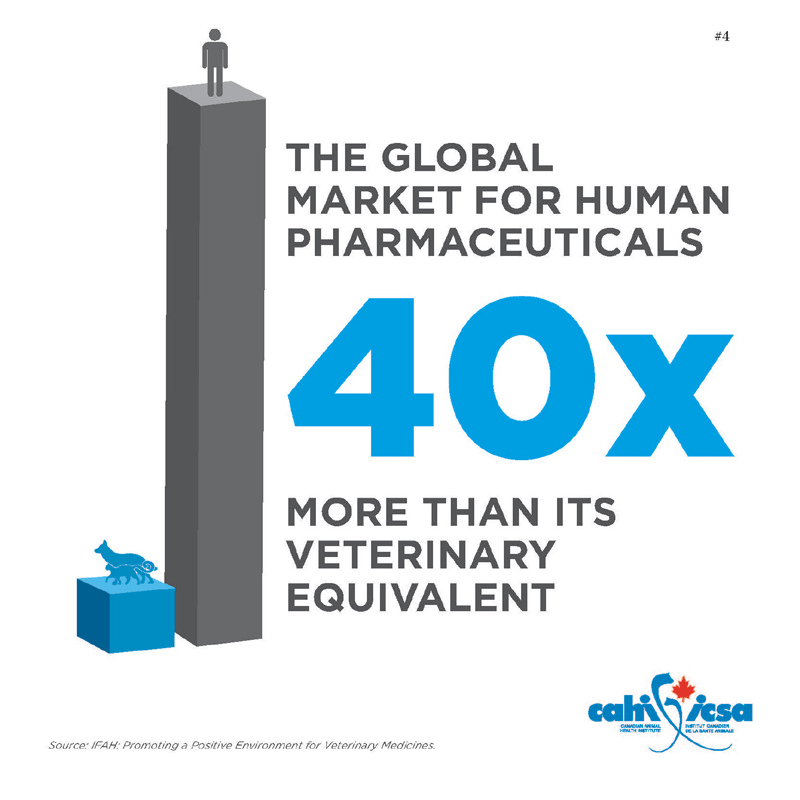 Pharmaceuticals make up the largest category of animal medications, with the sale of these products regulated by the Veterinary Drugs Directorate within Health Canada. Biologicals - The license to market and sell an animal Biologic must be obtained from the Canadian Centre for Veterinary Biologics, within the Canadian Food Inspection Agency. Biologics are products that are derived from modified living organisms with their role being to trigger the immune system to respond to a specific disease trigger – like a virus or bacteria. 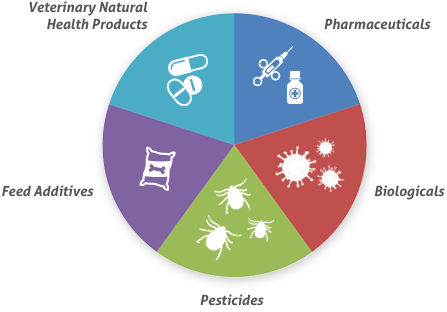 Examples of biologic(s) used in veterinary medicine include: vaccines, toxins, bacteroids, anti-toxins and antibodies. Pesticides - Animals, like plants can be bothered by pests such as fleas, ticks, mites and intestinal worms. Animal pesticides control these types of infestations. Pesticides are regulated by the Pest Management Regulatory Agency, Health Canada. Feed Additives, which include some ingredients in an animal’s feed or water are also regulated by Canada’s federal government. The Feeds Division of the Canadian Food Inspection Agency is responsible for ensuring that only those feed additives that meet the government’s strict regulatory requirements are sold in Canada.